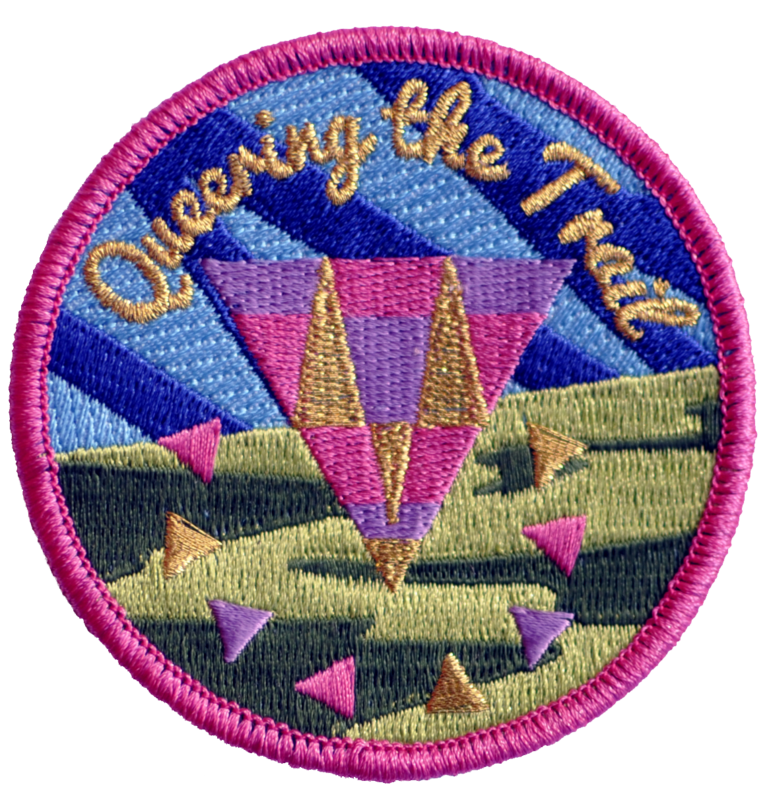 Our colleague and friend, Mary Tremonte at Just Seeds, created Queering the Trail pennants and badges for WalkingLab. You can purchase badges on Mary’s Etsy site and support a queer feminist activist’s work. 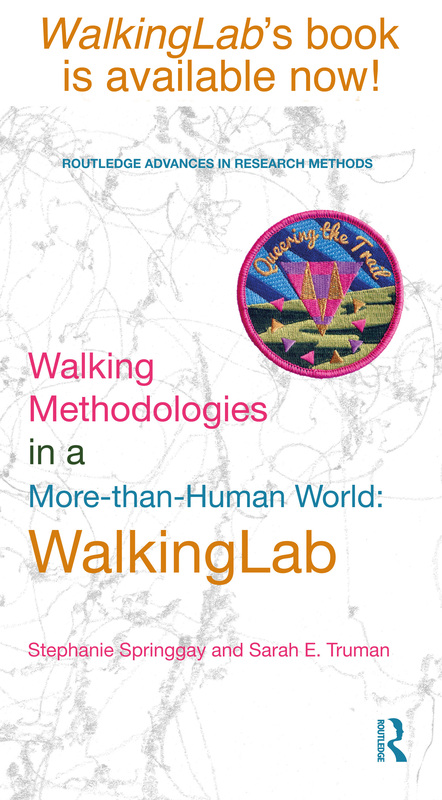 WalkingLab has been thinking-making-doing research that seeks to queer walking practices that govern bodies including landscapes. 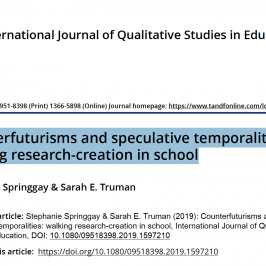 When we say ‘queer’ we use in a general sense as odd and strange, and in a specific sense of referring to LGBTQ identities. 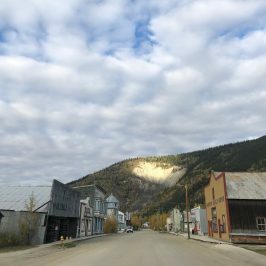 Queer has been used to unsettle norms and hierarchies of humanness. 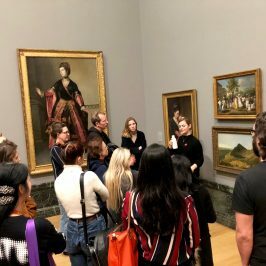 The meaning of queer or ‘to queer’ continues to move, probe, and shift beyond individual gender or sexual orientation markers, and towards a more complex understanding of queer that doesn’t only represent particular kinds of queer bodies. However, when viewed through this framework the queer identity and the ability to queer can be tied to western rational individualism and the liberal humanist subject who can afford to be queer and to queer (and consequently, tied to the liberal humanist subject who asserts their agency to queer or be queer). 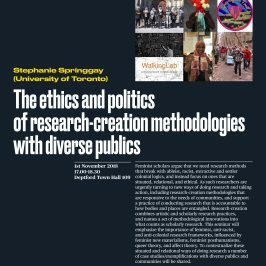 As such, we recognize the complex and intense ways that queer can affect Indigenous, racialized, and sexualized bodies. 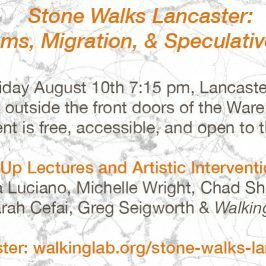 WalkingLab’s events seek to disrupt the heteronormative, settler colonial ways in which walking is conventionally understood through three heteronormative tropes –the flaneur, the derive, and the romantic colonial long walk. 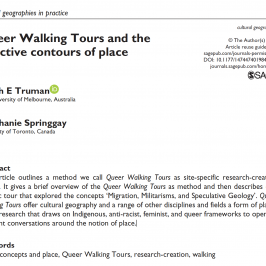 As white settlers we don’t use the term ‘decolonize’ for our efforts to disrupt normative practices of walking, but rather use unsettle, and queer: two terms we feel we can walk-with in our research. 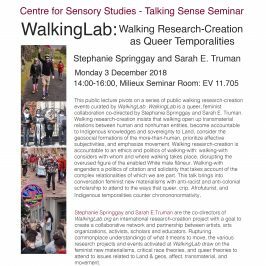 WalkingLab’s ongoing efforts to Queer the Trail are significant because they emphasize the speculative and experimental potential of walking as research, while simultaneously attending to the complexities of subjectivities, mobilities, and situatedness.